It's a common budget dilemma for Millennials: You know you have to save for retirement, but you also have student loan bills rolling in. Not to mention rent, credit card bills, grocery tabs and all the other costs of being a grownup. So how do you prioritize? 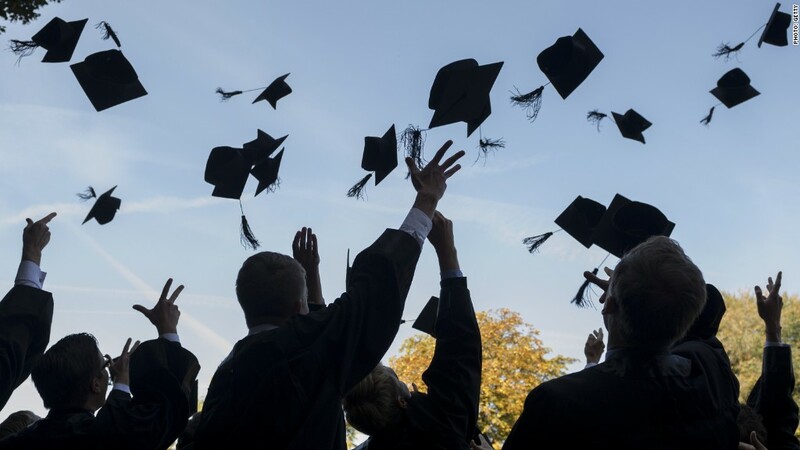 If you have income left over once you've met all your debt obligations, your retirement should get priority over paying more than required for student loans, according to financial planners. "Do not forgo putting money into retirement to pay down debt," said Larry Rosenthal, a certified financial planner and president of Rosenthal Wealth Management Group in Virginia. "Sacrifice your lifestyle today." While it can be tempting to pay off the thousands of dollars of college debt hanging over your head instead of saving for something that isn't going to happen for a few decades -- it might hurt you in the long run. "Millennials are going to be so much more dependent on their own savings for retirement," said Judith Ward, senior financial planner at T. Rowe Price. "We don't want to see young people shortchange themselves trying to pay off student loan debt sooner than it needs to be." 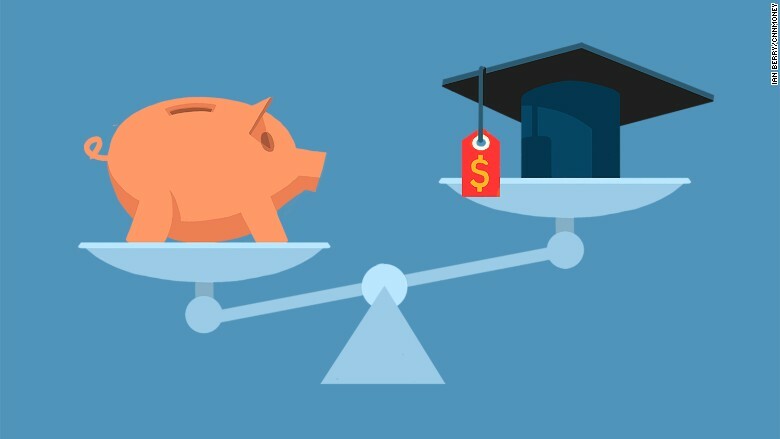 Every dollar in student loan debt reduces your overall retirement savings by 35 cents, according to a report from Morningstar. That means if you have $50,000 in student loan debt, you're losing out on $17,500 in retirement. And when it comes to saving for retirement, the earlier the better -- even if it's just a small amount, thanks to the wonder of compounding interest. Take this example: Socking away $100 a month in a tax-deferred account from ages 22-32 would yield $174,217 for retirement assuming a 7% return, according to T. Rowe Price. Delaying 10 years and saving from 32 until 65 would result in $155,307 -- even though that person is contributing three times as much money. Millennials should aim to save 15% of their salary, including a company match, for retirement, according to Ward. Related: Will you have enough to retire? And if your company offers a match -- at least contribute that amount. "That's 100% free money," said Rosenthal. But let's be honest: Saving is easier said than done and requires discipline. To help identify any unnecessary spending, Rosenthal suggests reviewing your spending for the last three to four months and identifying each expenditure as either a "necessity" like food or shelter or "lifestyle" like dinners out or cable. "You definitely have to make conscious choices each week," said Rosenthal. "Stick to the basics: Save for the retirement, pay down debt as best you can and sacrifice lifestyle versus the other way around." Related: My IRA lost 9%. Should I rethink my retirement plan? After all, there are no loans that help cover your retirement. Automating the savings by having the money taken directly out of your paycheck can help make saving more painless since you adjust to living off the smaller paycheck. Hey Millennials: What's your most pressing money question? Ask us and you could be featured in an upcoming story on CNNMoney. Please include your name, age, and city.